Move point D along segment AC. How do the ratios change? 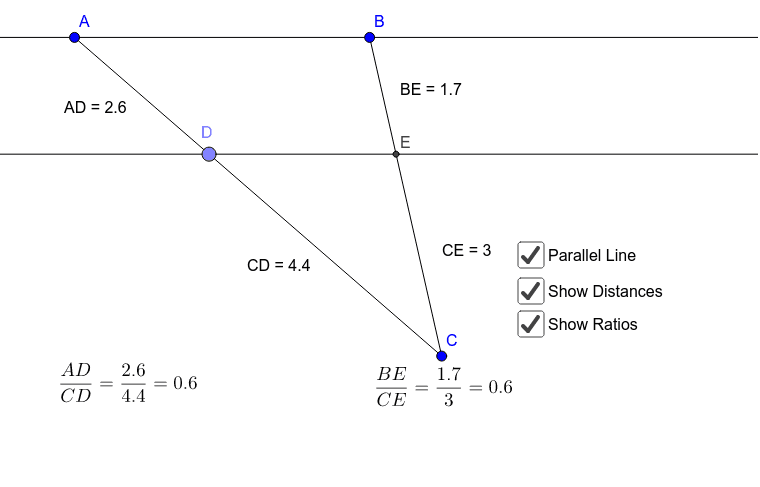 Now find the length of segment AC. Find the length of segment BC.